The 1992 movie A League of Their Own told the story of the All-American Girls Professional Baseball League which existed from 1943 to 1954. More than 60 Canadian women played in the league. The first Baseball Canada-sanctioned national championship for girls’ baseball (16U) was played in 1998. Girls’/women’s baseball has continued to evolve and grow in Canada in the two decades since. Canadian girls and women have probably always dabbled at baseball, usually mixed in among the boys, but not in the numbers they play the sport now, 20 years after the first sanctioned national championship for girls’ baseball in 1998. A recent survey of provincial baseball associations by the Canadian Baseball Network showed almost 7,200 girls played the sport in 2018. Some provincial associations don’t track the number of female players at all levels of competition. Baseball Canada, the national governing body, estimates the number is more than 11,000. More than 95,000 girls play softball across the country according to Softball Canada. The World Baseball Softball Confederation (WBSC), the global governing body of the two sports, estimates there are 300,000 female baseball players among the 65 million people who play either baseball or softball around the world. “Women’s baseball is the fastest-growing discipline under the World Baseball Softball Confederation’s umbrella,” said Oscar Lopez, head of communications for the WBSC in Lausanne, Switzerland. In Canada, female baseball is growing quickly in some provinces such as Newfoundland and Labrador and slower in others such as Prince Edward Island where the softball culture is strong. Healy believes the 1992 movie A League of Their Own “had some level of influence” on girls wanting to play baseball, but points to the Toronto Blue Jays’ World Series triumphs in 1992 and 1993 as another incentive. “Five-year-old girls are big Blue Jays’ fans just like five-year- old boys,” he said. Historically, girls played softball and boys played baseball in Canada. The reason was mainly cultural says Andre Lachance, Baseball Canada executive and former field manager of Canada’s national women’s baseball team. Canadian baseball historian William Humber, a member of the Canadian Baseball Hall of Fame, has a different thought about the reason girls played softball and not baseball in the past. “I don’t believe there was ever any restriction on girls playing baseball. I can recall coaching kids’ baseball in the 1980s and there were several, though a distinct minority, of girls. “However, softball, which appeared in popular form between the two world wars, appealed not only to women but men because it was perceived as easier for those not trained in the finer points of baseball. In time, of course, softball became every bit as sophisticated and tough to play as hardball. Hence, later generations though not exclusively men, unable to hit fast tossing softball pitches took up slow pitch or lob ball. “Given that softball now is every bit as challenging as baseball there was less reason for women to take up baseball, but in time the uniqueness of each game appealed to the more competitive to give baseball a try, just as many hardball-playing baseball men often take up softball. This is one man’s theory,” he said. Another theory about why girls tend to play softball in greater numbers than baseball is the opportunity for college scholarships in the U.S. Similar opportunities don’t exist for elite athletes in female baseball. “We need more promotion of the Women’s World Cup of Baseball and our national team,” said PEI’s Randy Byrne. “More exposure would be massive. Some version of collegiate or professional opportunities would be helpful to encourage and promote girls’ baseball,” he added. Despite the lack of collegiate or professional opportunities for girls and women ballplayers, growth continues in Canada, although more actively in some parts of the country than others. PEI has signed a partnership agreement with Canadian Girls’ Baseball to grow the sport in the province. New Brunswick has made girls’ baseball a priority in 2019 including a new director of girls’ baseball, organization of regional development camps for female players and a goal to recruit and train more female coaches. 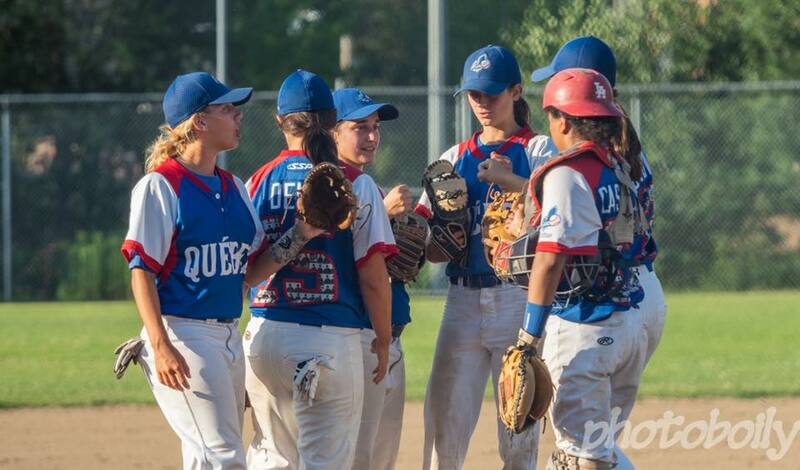 Quebec is in the second year of an ambitious strategic plan to grow girls’/women’s baseball that includes a new athlete path from entry level to the national team and a variety of other initiatives. Manitoba offers a girls-only league in Winnipeg in partnership with Canadians Girls’ Baseball. Saskatchewan is building its girls’ program. The Saskatoon Royals’ zone offers girls-only baseball in a variety of age groups, winter training has been introduced and coaches for the province’s 16Uand 21U female teams recently attended a U.S. coaching conference. Alberta has launched a girls-only baseball web site that describes a variety of opportunities from grassroots to high performance levels including Girls’ Baseball Days, all-girls development camps and hitting clinics. Co-ed teams are offered from age four and all-girls’ teams are being formed where enough players exist. British Columbia offers a variety of girls’ instructional and playing programs for new and experienced players. Baseball Quebec is in the second year of an ambitious strategic plan to grow girls’/women’s baseball in the province. 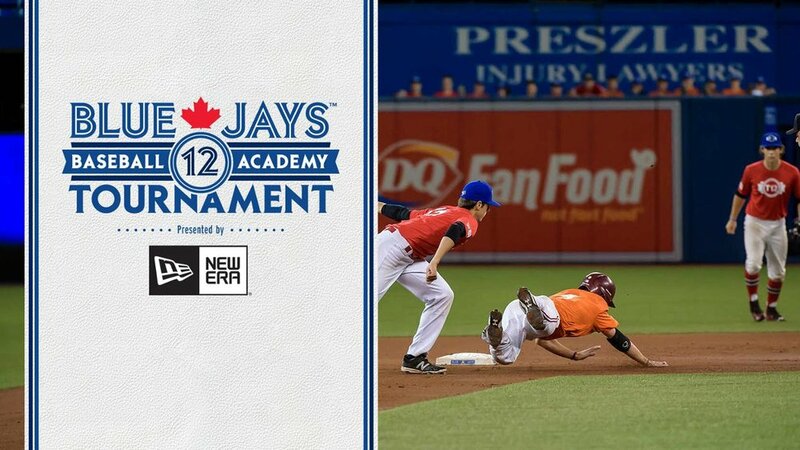 Photo Credit: Baseball Quebec. Female ballplayers play on boys’ teams in some provinces to improve skills or because girls-only leagues don’t exist for all age levels. Many of the 1,400 female players in Manitoba, for example, play on boys’ teams. Softball also offers competition for female players. “Community clubs sometimes automatically shuffle girls into softball because they’re needed to form teams in rural areas,” said Patti Hacault, Baseball Manitoba. In British Columbia, the provincial association sponsors Come Try Baseball, Instructional League for girls, Female Festivals for new and experienced female players and other initiatives at the grassroots level. Similar programs exist across the country. “We want to make baseball better for girls. It is our biggest area for growth. But we tend to see a drop off in numbers around the age of thirteen. Girls develop different interests, they’re pulled away to another sport or they’re not comfortable in their surroundings playing with boys,” said Stacy Fournier, manager, operations, Baseball BC and head coach of the province’s 14U Team BC Selects. Cheyenne Simicak is just one of the young players excelling in B.C.’s program. Photo Credit: Holly LaPierre. Newfoundland’s Healy agrees there is a drop off in the teen years. “We have a gap in our programming for girls across the country between the 16U and 21U age groups. We’re talking about that. Finding playing fields and having the necessary resources such as coaches and umpires are other challenges,” he said. The Canadian Girls Baseball League created by Dana Bookman of Toronto is one of the best examples of growth in female baseball. Starting in Toronto, the Toronto Girls Baseball League had 42 players aged five to 10 years on four teams in 2016. At the end of 2018, Bookman and supporters had grown the Toronto league to more than 550 players aged four to 16 and had expanded into Nova Scotia and Manitoba, adding 150 and 50 female players, respectively. Bookman and Baseball PEI entered into a partnership in late 2018 to grow the sport there. She also received financial support from the Jays’ Care Foundation to build infrastructure and spur growth of the league. The Jays Care Foundation also offers Girls At Bat, a girls-only baseball program developed in partnership with Plan International Canada. The Canadian Girls’ Baseball League features female coaches and umpires as much as possible. It has added select teams as well as indoor winter training for girls in parts of the country where it operates. The league offers an eight-week program in the spring and a six-week program in the fall. Summer programs are offered in Nova Scotia and Prince Edward Island. Each game is preceded by a practice to focus on skill development. “We’re different,” Bookman said. “This is baseball for girls, not girls playing baseball with boys. We’ll take any girl regardless of skill, whether they can afford to pay registration or not,” she said. While girls continue to play with boys in parts of the country, girls-only leagues of various ages and competitive levels operate in Newfoundland/Labrador, Nova Scotia, Prince Edward Island, Ontario, Manitoba, Saskatchewan and British Columbia. The WBSC’s Oscar Lopez says Canada is a global leader in girls’ baseball. “Baseball Canada is definitely one of the forward-looking leaders in women’s baseball and the country’s number two ranking and highly trained baseball athletes are a reflection of this,” he said. Canada hosted the first international baseball championship series called the Women’s Baseball World Series in 2001 at the SkyDome in Toronto. The tournament included teams from Canada, the U.S., Australia and Japan. Most of Canada’s players were from Ontario because of the existence of the 12-team, Central Ontario Girls’ Baseball League (COGBL) at the time. The COGBL has morphed into the Ontario Women’s Baseball League, referred to as “the longest continuous all-female baseball league in Canada.” The COGBL was founded in 1996. The success of the 2001 tournament and the continuing growth of the sport spawned the Women’s World Cup of Baseball, first played in Edmonton, Alta., in 2004. Eight World Cups have been contested with Japan winning six times. Canada’s national women’s team is currently ranked second in the world by the WBSC, behind Japan. A new initiative announced by Baseball Quebec recently is one example that girls’/women’s baseball is not only growing at the grassroots level, but at the competitive level, too. 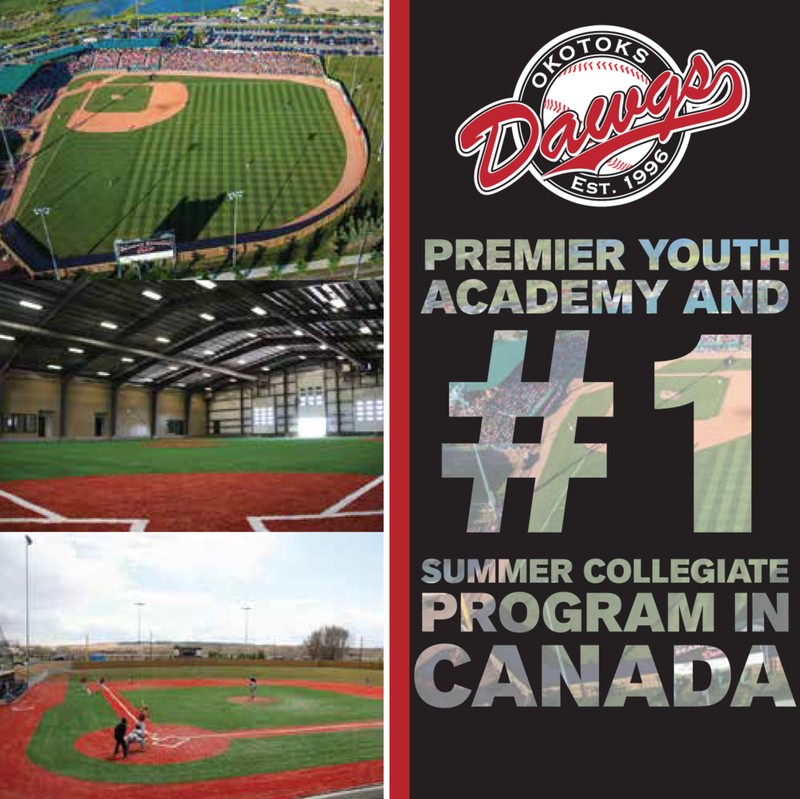 The provincial association, one of the hot beds of female baseball in Canada, will offer a year-round training academy for elite female baseball players in the province. Athletes participating in the academy will be able to combine baseball activities with studies at high school, community college or university. Developments at the grassroots and elite levels across the country bring a smile to the face of Nova Scotia’s Holly LaPierre, chair, Girls’ Baseball Committee, Baseball Canada and recently named as the national body’s first winner of the Female Baseball Builder Award. “Last year the 16U was the first time every province was represented in a girls’ national championship at any age level. In 2012, there were only six provinces represented. Girls baseball has come a long way. Girls play hockey, why not baseball? It is no longer rare. It is becoming the norm,” she said.